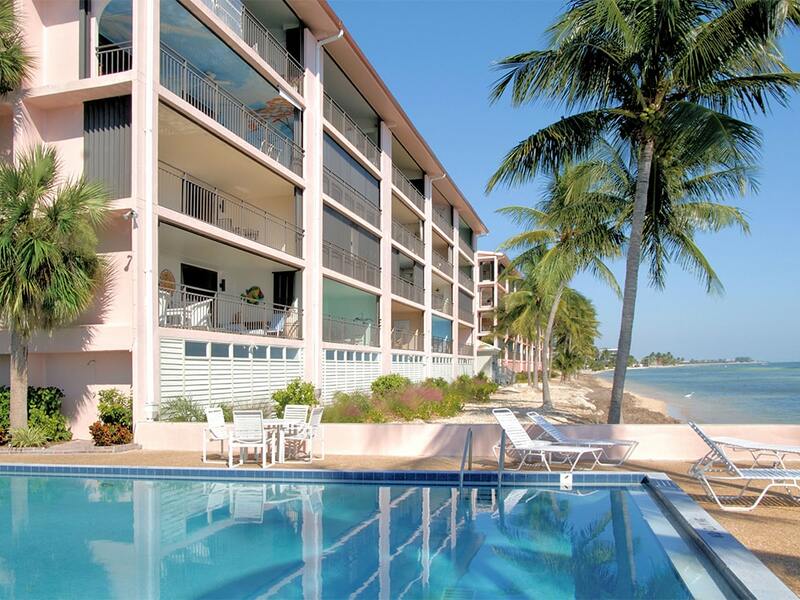 Key West monthly vacation rentals must be rented for at least a month, but not for more than six months. Monthly rentals are designed for guests who want to experience living in Key West, settle in and enjoy the comforts of a home away from home. Monthly rentals are furnished and decorated to provide the experience of a well-appointed local. Interior designs reflect the unique tastes of property owners. Some are luxuriously stylized, and some are furnished more simply. All are set with the essential amenities and conveniences of home, including internet, TV, linens, and kitchenware. Read our property descriptions to learn the details. Premier Historic Seaport location! Steps from the boardwalk. A whole vacation experience for the entire family. 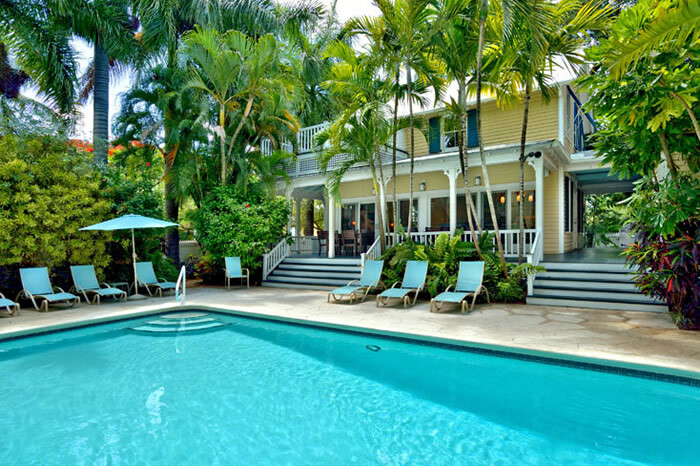 Rent this estate and live in luxury in the most requested Historic Seaport location in Key West. 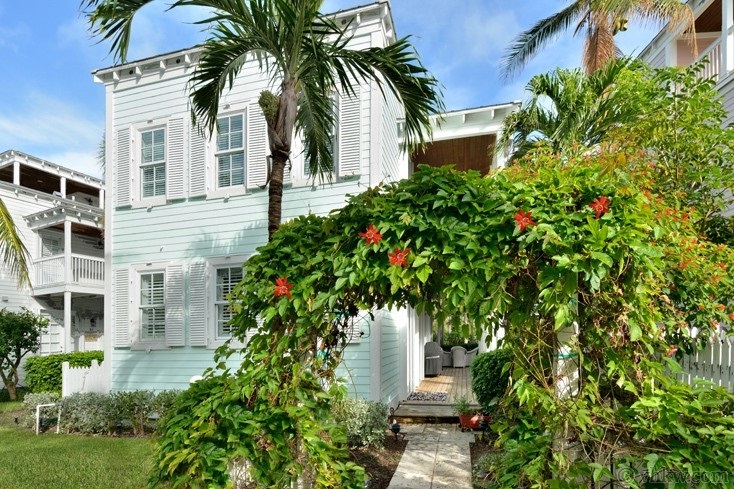 Three historic dwellings are seamlessly joined to become one private luxury Key West rental estate. 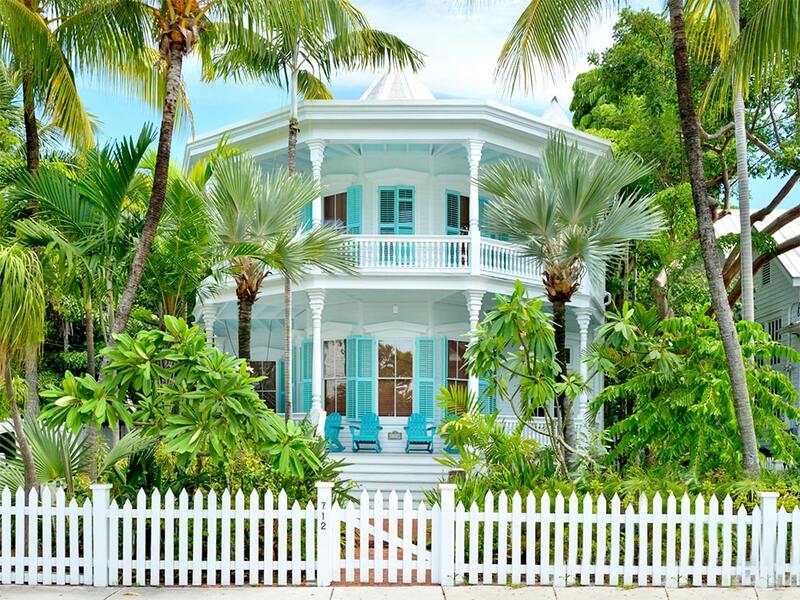 A combination of unique design elements impart that elusive je ne sais quoi of island architectural history. 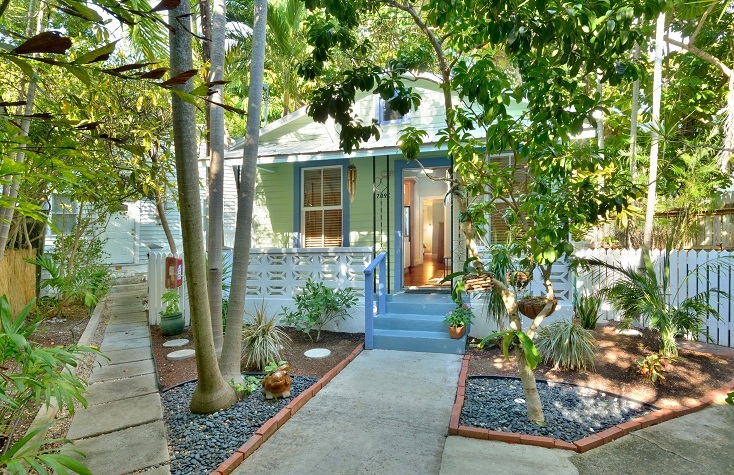 Rent the best of Key West! 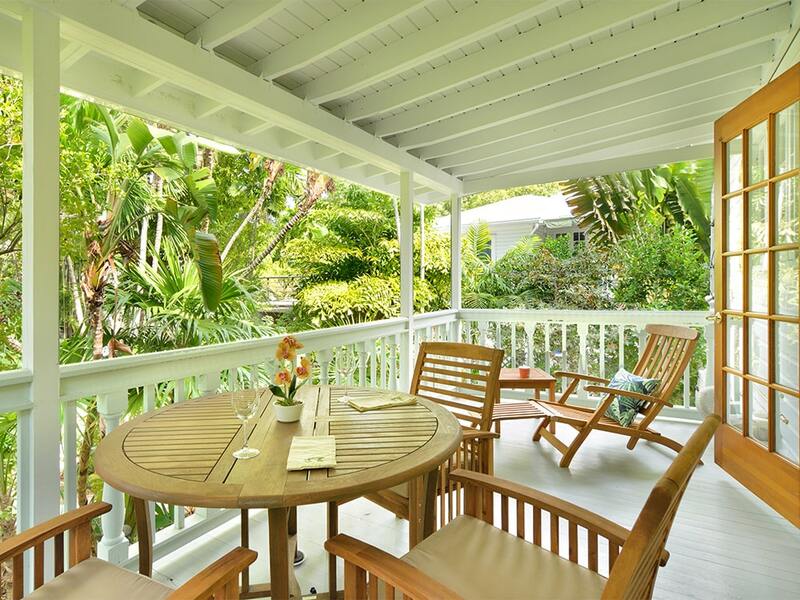 Discretely built back off the street to quietly overlook an historic tropical garden, this Elegant Key West Tree House, encompasses the entire 2nd floor of a beautifully renovated 1930’s building. 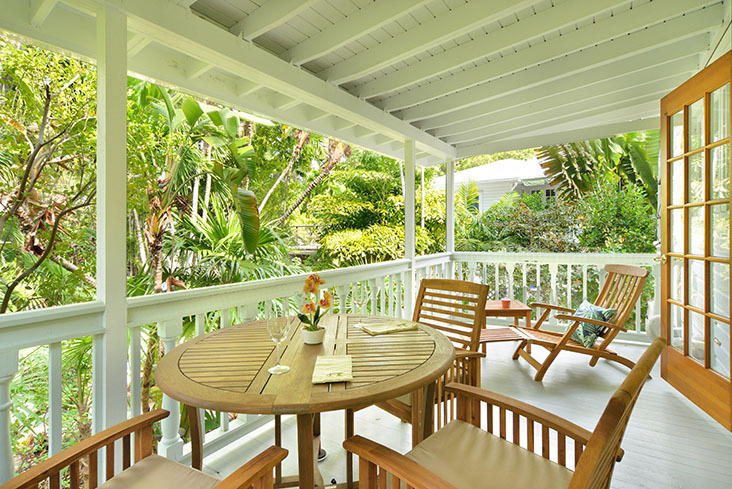 Perched among mature tropical trees, the 1200 square foot 2nd floor flat is situated on a quiet road in the exclusive Old Town Casa Marina neighborhood. With a wide wooden covered porch spanning the front of the house, every room still has the original casement windows providing a fabulous look-down view of different garden scenes. 'Turquoise waters surrounding the land, with crowning sunsets in a pastel sky …' Private luxury villa blends airy contemporary island design with access to high end Sunset Key resort amenities. 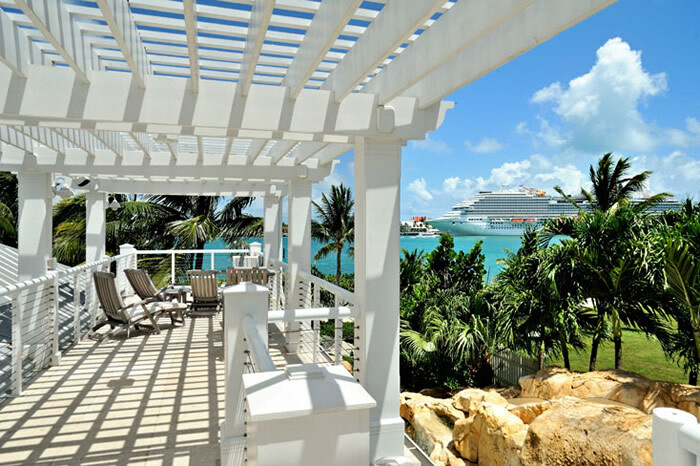 The crowning glory is a private roof top deck where you can steal away and savor the famous Key West sunsets. 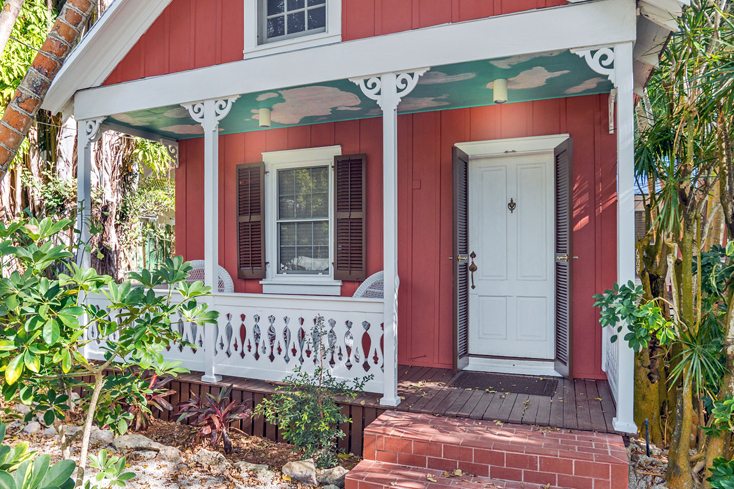 Story-book charm, originally built in 1860, a restoration won it the coveted Star Award by the Historic Florida Keys Foundation, in 1995. 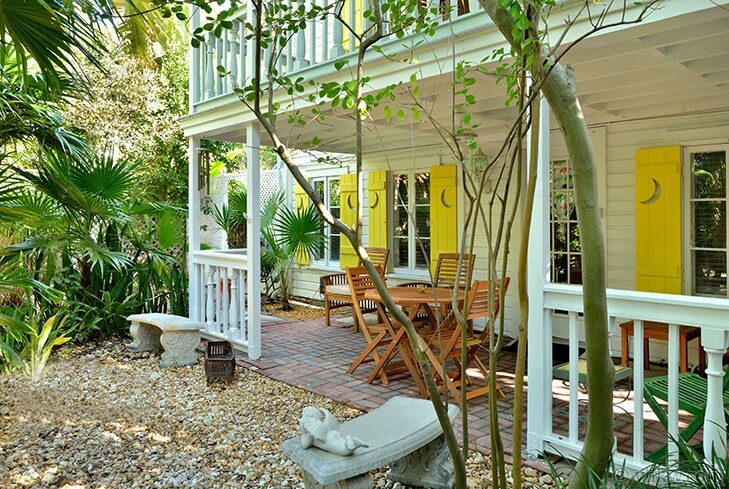 Situated on famous Southard St., in the Historic Seaport neighborhood, its unique character has so captured lovers of Key West homes and gardens, that it’s been featured in two books - Mary Emmerling’s American Country Cottages, 1993, and again in Key West Gardens and Their Stories, Frawley-Holler, 2000. 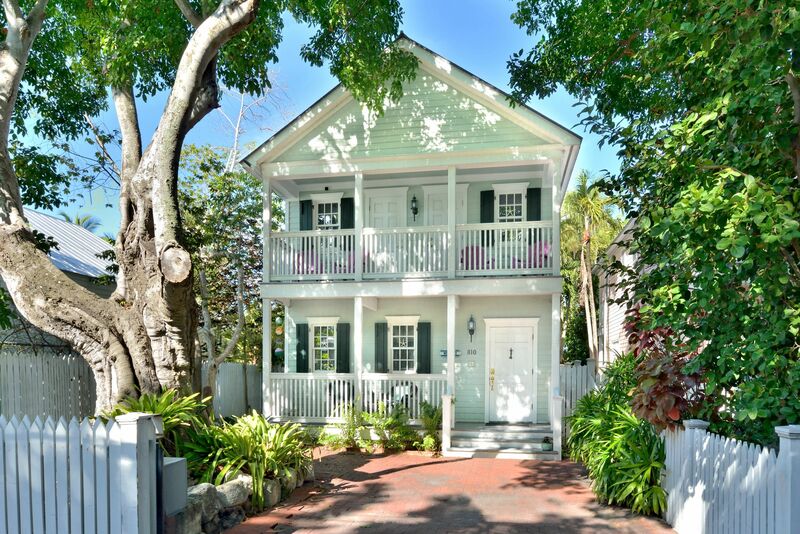 ‘Heads Up’ to all of you incurable romantics who are looking for the perfect Old Town Key West garden cottage retreat close to the beach. Dream worthy and authentic, it’s a little bit like ‘Little Red Riding Hood’s cottage merges with a ‘Fantasy Island’s’ private pool garden,’ and the two are seamlessly blended. 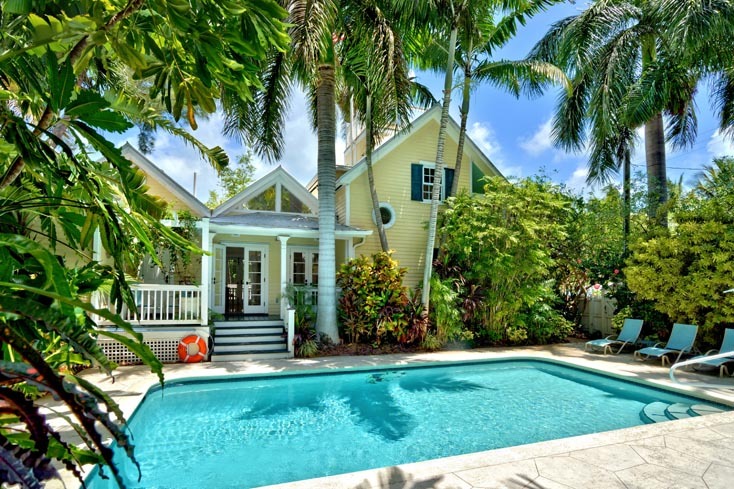 Imagine the ultimate Key West dream home that feels like a faraway oasis - where you can watch crowning tropical sunsets from a private rooftop deck. Someplace truly extraordinary, elegant yet also comfortable – a sojourn on a private island surrounded by sparkling turquoise waters and balmy breezes. 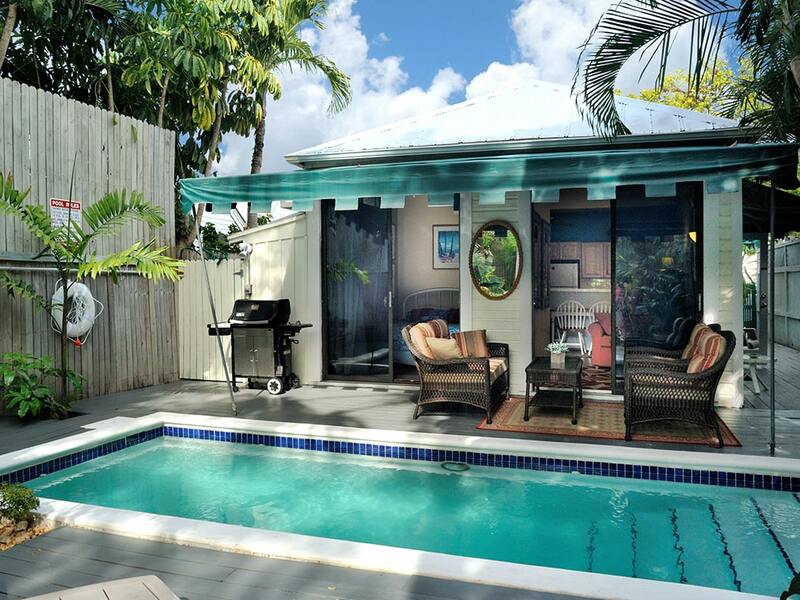 Completely hidden from the thoroughfare, you would never know this small gated pool-garden complex is in the heart of Old Town Key West, less than one block from Duval Street. 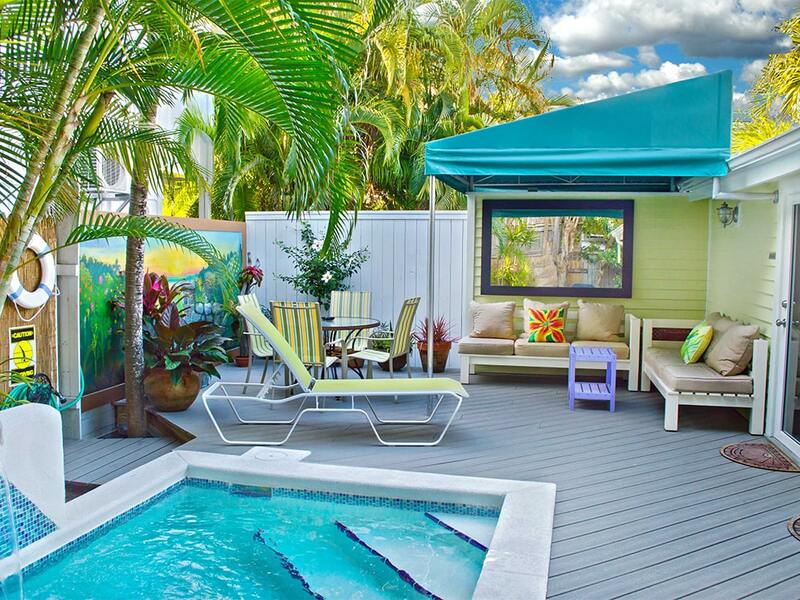 In this beautiful home, palettes of garden-green and Caribbean-blue take center stage so it claims the name, Casa Verde-Azure vacation rental. 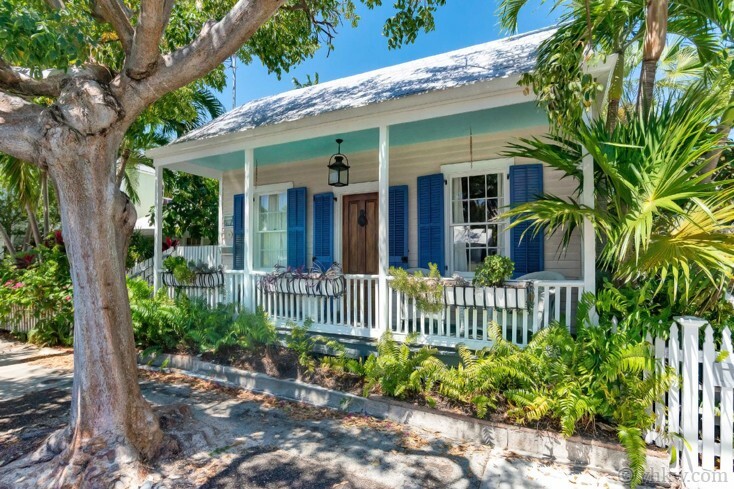 As I stand on the front porch of this little Hidden Story-Book Cottage in the Old Town Key West, I could swear I’m in a neighborhood in the Bahamas on Green Turtle Cay. But as diminutive as it is, impressive interior upgrades that give it a proportionately larger and luxurious feel. Channeling the island spirit in oft-missed mid-town, this home makes a classical curbside statement. Timeless craftsman-colonial architecture, lush mature tropical landscaping.Here you live away from the hubbub, yet close enough to beaches and Old Town. With many places to place a hammock, you may even find yourself making a new daily island ritual of swinging, reading, and sipping wine. Quiet Living Exclusive Casa Marina neighborhood. Completely hidden from the street, this historic Butterfly Garden flat provides you with two private entrances off the large gated meditation garden. A private covered sitting porch outside your front door beckons you to sit in the freshness of the garden and watch for the butterflies. 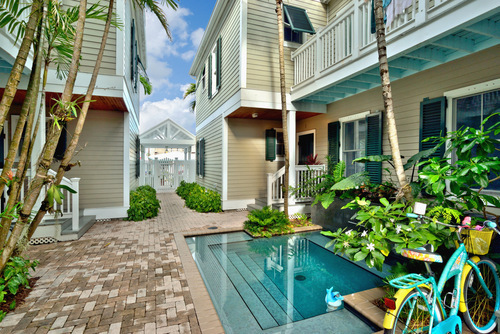 Aspirational, luxurious, well appointed, and whimsical, are four attributes that make this courtyard townhome a lovely place to call home in Key West. 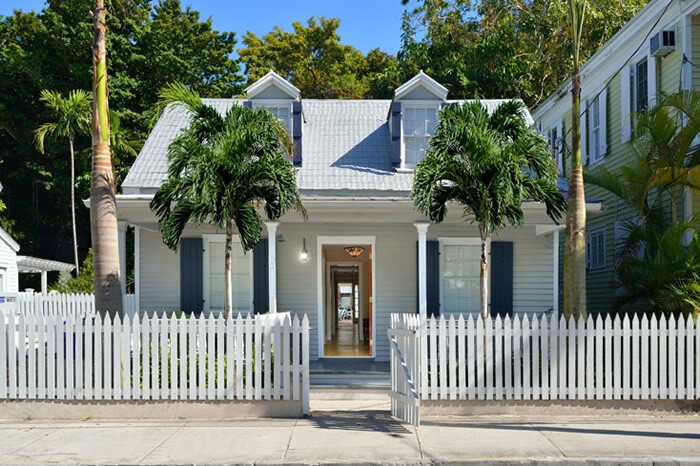 Aptly named, Island Interlude, this 2-story property is situated around the corner from one of the most popular transitional urban scenes of Key West. Extraordinary upscale renovation. 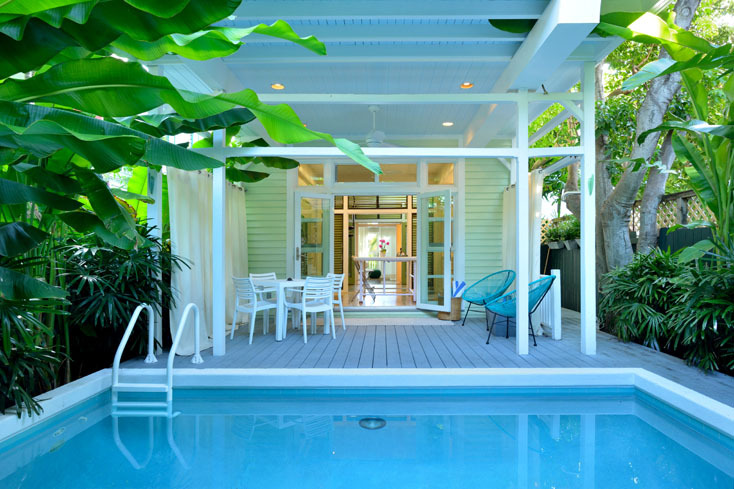 Traditional Key West architecture is flawlessly melded with a minimalist contemporary interior. Exotic and calming, this unique home offers all the best features of classic and modern island living. Premier location - Hidden But Only Steps from Historic Seaport Boardwalk! 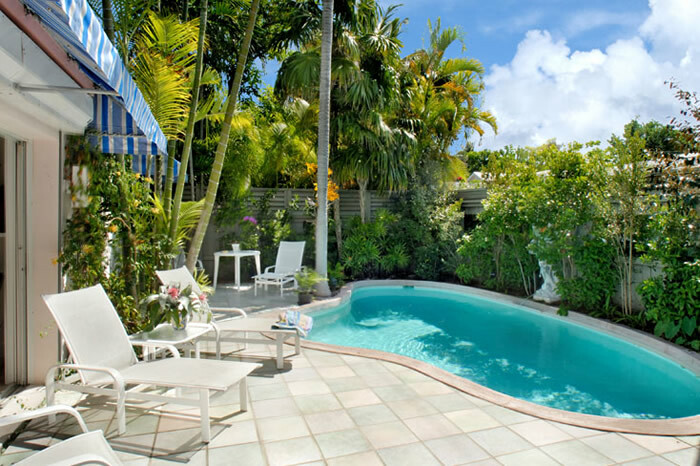 Extraordinary French Caribbean style Victorian home, Belle Maison du Port (Fine Harbor House), is available as a monthly vacation rental from May through November. Situated on the grounds of the Seaport Treasure Estate. It is comprised of a stunningly renovated 2–Story Victorian home, plus an adjoining one-bedroom guest cottage. 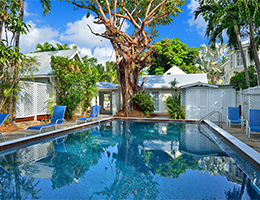 Large private resort-style swimming pool with spacious sunning deck..
Born in 1925, the Key West Quartermaster House may have found its way from the Bahamas, ‘lock stock and barrel’, during one of the most colorful points in Key West maritime history. Located in the Historic Seaport Neighborhood, today it offers all the comforts of home plus gratis resort amenities. 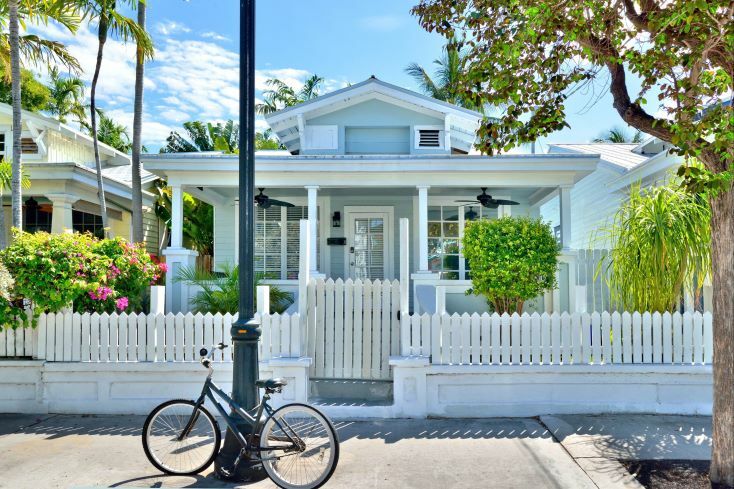 1/2 block off Duval St.
On Hemingway's Rounds, is an inspired renovation of a classic 1930's ‘American Bungalow’ redone Key West style. While the street side remains true to the original casual arts-and-crafts form, the interior now boasts an elegant simplicity that meets even the most discerning of modern tastes. Sit back, relax, and choose your favorite mesmerizing view from one of the magnificent private decks on this private island property, 500 yards from the ''main island' of Key West. Unhurried sunrise, serene sunset, warm turquoise waters, and white sandy beaches – from any direction, it’s divine. 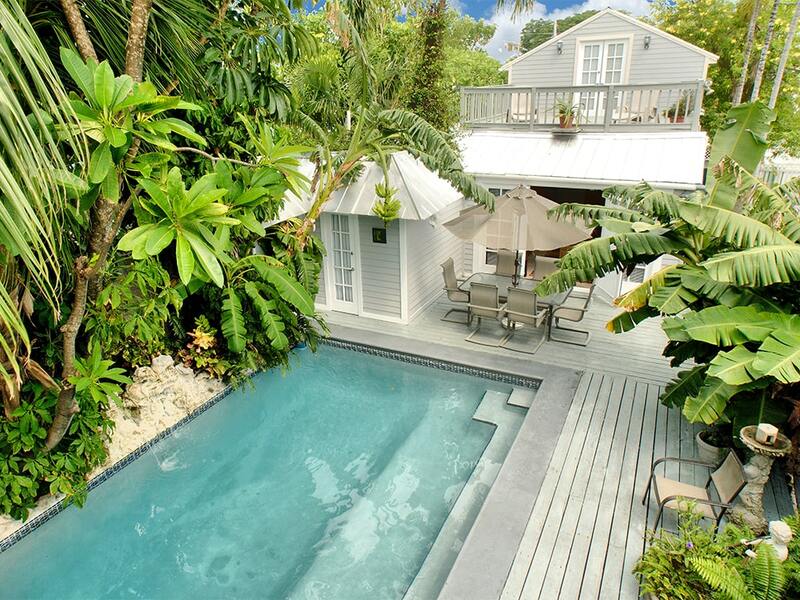 A Key West luxury cottage in an idyllic retreat setting situated in a manicured garden and swimming pool. 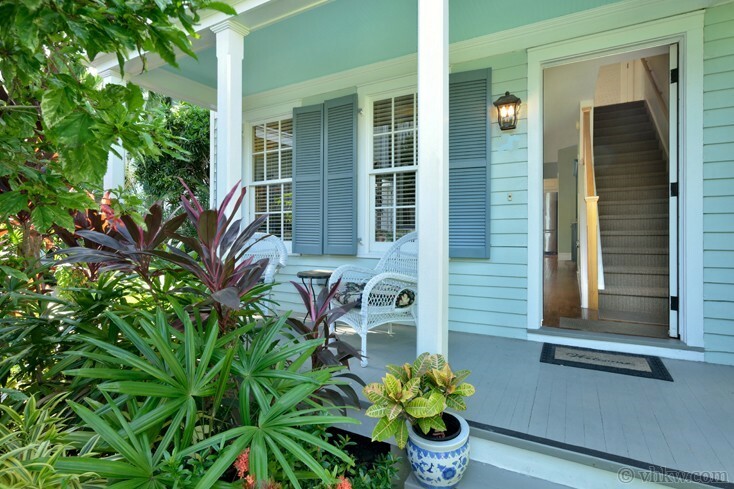 Perfectly Renovated and immaculate Key West neighborhood, known as The Meadows. 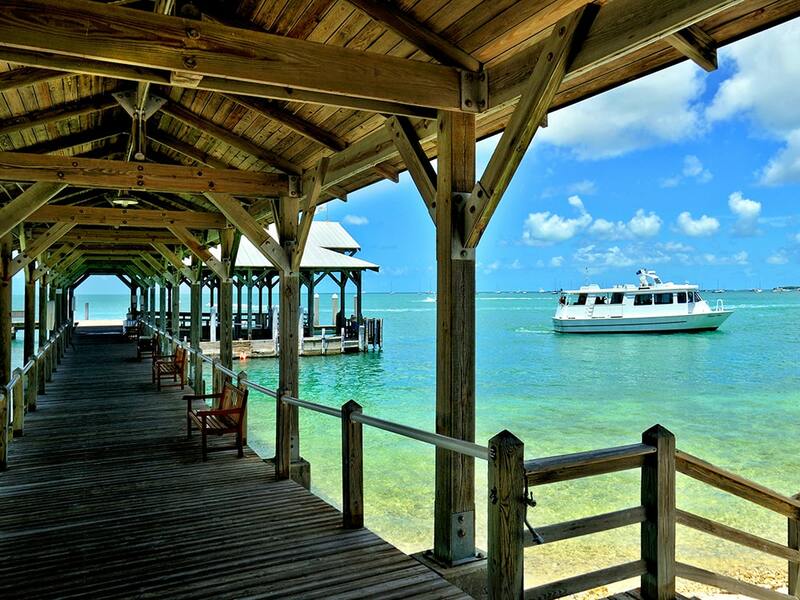 Easy walk to Key West Historic Seaport. 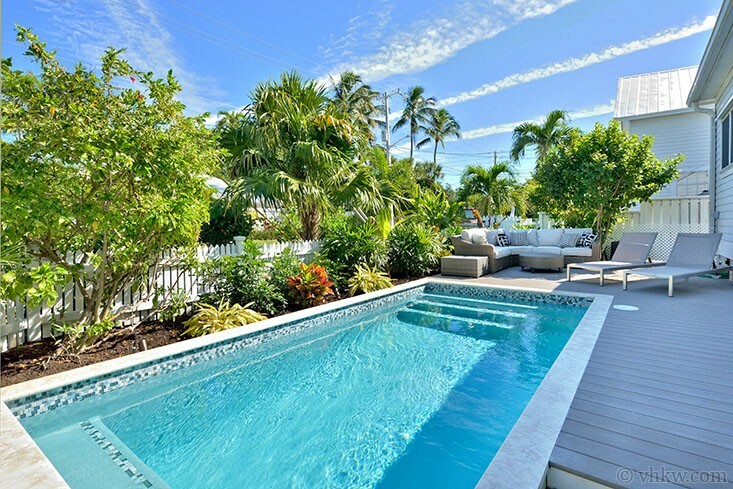 Tucked behind a breathtaking tropical garden wall and located along one of Key West's most desirable residential streets, this spectacular home reflects a dynamic blend of contemporary Mediterranean and Caribbean architectural design.